"Three Canadians have appeared in Sydney court after they were caught allegedly attempting to import 95kg of cocaine into the country on board the Sea Princess on Sunday. 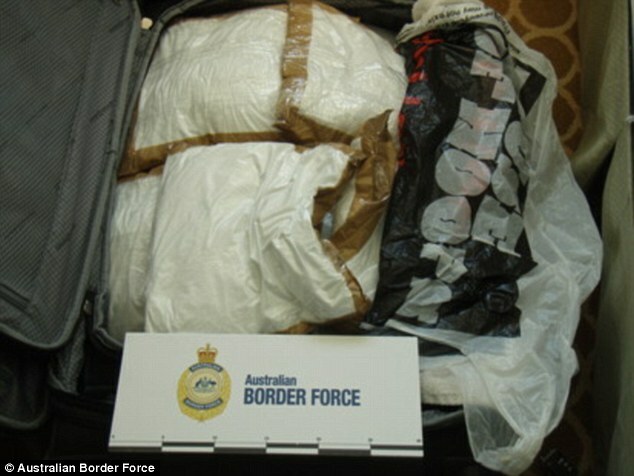 The Australian Border Force (ABF) seized the large quantity of drugs, an estimated street value of $31 million ($23 million USD), from two locked suitcases in two vessel cabins after police and sniffer dogs searched a number of passenger cabins on the large ship. The accused Andre Tamine, 63, Isabelle Legace, 28, and Melina Roberce, 22, were on the Sea Princess cruise, which started in Britain and has visited Canada, USA, Colombia, Peru and Auckland all before arriving in Australia on Sunday." Didn't they think a ship with stops in Colombia and Peru might not get "extra" attention? "The two women, Mélina Roberge and Isabelle Lagace, from Quebec, Canada had spent the past two months aboard the MS Sea Princess cruise ship. Roberge, 22, and Lagace, 28, documented their travels on their social media pages. " Sounds like they were following these two women for a while. "For Andre Tamine, Melina Roberge and Isabelle Lagace, it seemed to be the trip of a lifetime. But when the ship sailed into Sydney Harbour on August 28, 2016, the holiday came to an abrupt end when the three were arrested. They had been identified as "high-risk" passengers on a "high-risk" ship, which was closely scrutinised by authorities because it had stopped at a large number of ports." "A third accomplice in the infamous "Cocaine Babes" cruise ship drug-smuggling ring has been sentenced to more than five years in prison for his role in trafficking 207 pounds of cocaine aboard a Princess Cruise voyage in 2016. On Dec. 19, an Australian judge convicted 63-year-old Andre Tamine to a minimum of five years and seven months behind bars for smuggling what’s estimated to be at least $21 million worth of cocaine in a case that made headlines around the world, News.com.au reports."